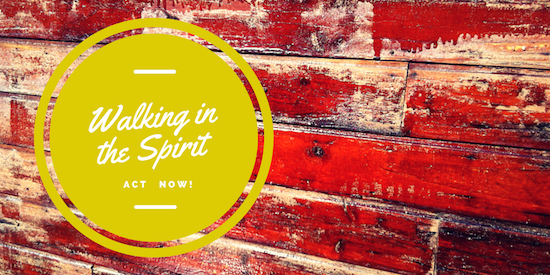 What does it walking in the Spirit look like? I recently just finished a move cross-country. 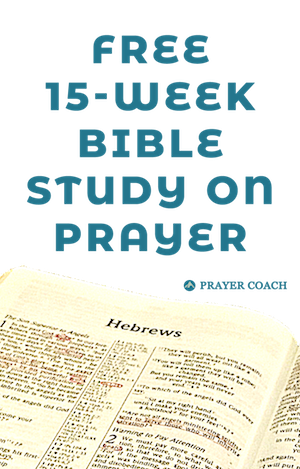 It was a move that both my wife and I felt God was leading. Even more we felt that He wanted us to move as soon as we could. It really did not make sense. We were to leave the state where we were born and raised, which meant leaving our family. We were to leave our house and neighborhood we really loved. We were to risk losing my job. But, in the end, we both felt this was God’s next step in our journey with Him. As we moved forward in faith, God gave me favor with my boss to be excited about the potential that my move opened up. We also found places to stay in the move and people to help us in that transition that were just opening up as soon as we got there. This in itself was wonderful, but just a few days after moving into our home, God introduced us to a young lady with a toddler needing a place to stay. She had just started to realize the destructive nature of her husband’s words and attitude towards her and her child and had just left for their safety. Our home provided a stable location for their family to get help. It also provided children to help her child have friends and love during a stressful time. It is a story that is still without an ending. The point of what I want to get across is that walking in the Spirit is a life of faith. As you feel God leading you to something, you will often not know the reason for your actions ahead of time. Faith is stepping out in obedience with the outcome not guaranteed (that is circumstantial outcome; the spiritual outcome of pleasing your Father is always guaranteed). The secondary point is that it is not always about you even though it is always about you. It is always about you because God is building character and eternal rewards for you. It is not always about you in the temporary. God the Father, in His immeasurable love for this girl and her child, motivated a family from across the country to move with haste to create a place for her to land for her safety and health. My wife and I believe that there are other blessings to come with the move, but the “as soon as possible” was at least for this hurting family as much as it was for us. ← What is God Speaking Through You?